Dry eye syndrome can be caused by many things. For most people, the predominant cause is the lack of natural tears. Decreased tear production can have a dramatic impact on the moisture that surrounds the eye. Tears are made of oils, mucus, and water. When the tears evaporate too quickly or are not produced in sufficient amounts, it can cause the eyes to become dry and irritated. People who are deficient in Vitamin A or have health conditions that affect the fluids in the body like rheumatoid arthritis, thyroid disorders, lupus, and diabetes may have a higher risk of dry eye syndrome. Part of the treatment for dry eye syndrome is to replace the tears that are either not being produced or are evaporating too quickly. Eye drops are used to help restore the fluid balance in the eye. The next step is to address the underlying cause of the condition. This can mean receiving proper treatment for diabetes or rheumatoid arthritis. If the dry eye is caused by a medication, the doctor may review your prescription and choose to change your medication as a way of avoiding that particular problem. Dry eye syndrome can also be caused by blocked tear or oil ducts near the eye. Opening these ducts may restore natural tear production or at least keep the eyes moisturized. Can Dry Eye be Prevented? 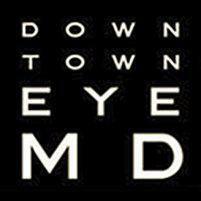 Dry eye may be caused by certain situations or in a person's environment. People should take notice of when their eyes appear to be the driest. Use a humidifier to keep moisture in the air. If a person spends prolonged periods of time outside, wear protective eyewear that keeps the wind from blowing in the eyes. Avoid cigarette smoke and areas where smokers tend to gather. Know your environment. High altitudes and controlled environments are known to have drier air. Individuals who work at a computer for several hours a day should make sure the monitor is placed below eye level. This allows the eyelids to remain lower covering most of the eye and eliminating evaporation.